James Colmer Artist Guernsey: What do artists do all day? I stumbled across this programme on BBC4 the other day and it totally blew me away. As an aspiring "full time" artist, the title intrigued me… What do artists do all day? 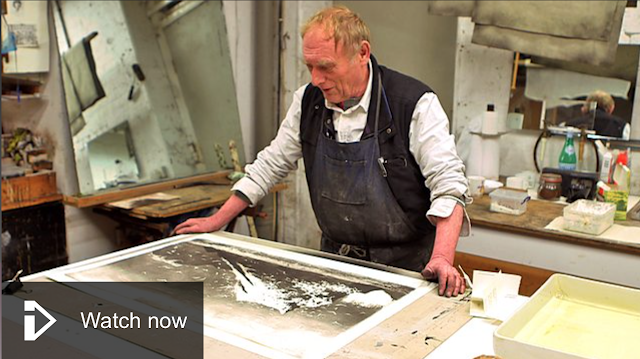 The artist on show was Norman Ackroyd. I didn't know much about his art before but it really stuck a cord with me and what I want to achieve in my art. Despite living in London he is completely drawn to the sea, specifically the rugged coastline of North Scotland and Ireland and their isles. The resulting sketches taken from boat trips transfer to etchings back in his London studios. The finished artworks are atmospheric seascapes jutting up against impressive cliffs swathed in rainclouds. Safe to say I am now a big fan! I was envious of his lifestyle too (apart from the 6am wake up!). He lives above his studio, an old atmospheric warehouse and spends his day planing and making his art, then taking a breather for a spot of tapas in the restaurant opposite.